Gabriella Kotey popularly known as Queen Peezy , has put her life back on track after videos and pictures of her went viral yesterday, March 27, that she was admitted at the hospital because she had a broken heart. 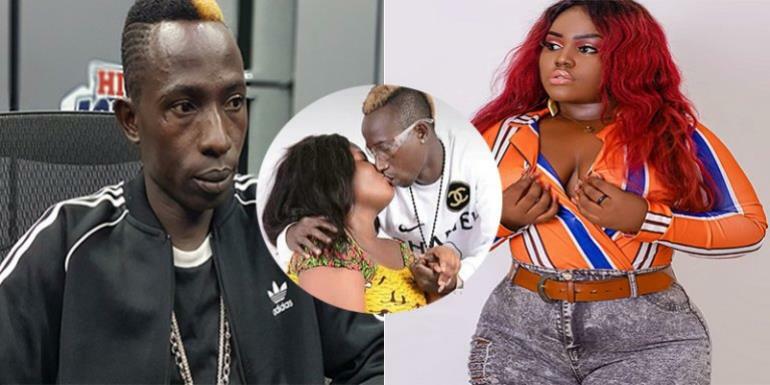 In an exclusive interview on Accra FM’s mid-morning show, she said it appears Patapaa is losing his brain and he is not acting as the normal patapaa her fell in love with. “I felt he will be snatched from me. Indeed, he told me he was going to Europe to play shows and I couldn’t go with him because I wasn’t in his travel plans,” she said. According to her, she isn’t annoyed and stressed any longer. She is focused and that she doesnt her if Patapaa chooses to return to her or not. She disclosed that they were in communication(Only twice) only to see him kissing a white woman which went viral on social media. “We have spoken only twice since he travelled. When I saw the first video, you could hear at the background ‘pause-action’ which I was okay with it because he was shooting it for a music video, mene woara. “Initially, he told me he will be shooting a part there and will be back so we shoot our part —which I took normal. The second video I saw which he was kissing the white lady is disheartening. It was so real, it isn’t fake.” she said.